Below are some profiles of ESS alumni as well as those outside of the ESS program, but with interdisciplinary education in sustainability and engineering from the University of Michigan. Amy Anderson is a Project Engineer at WSB & Associates, a consulting firm in Minneapolis, Minnesota, where she specializes in stream restoration. Her master’s thesis was on the responses of fish to changes in velocity which surround typical in-stream habitat modifications. As an engineer, Amy has worked on stream restoration projects in Wyoming, North Dakota, and across the state of Minnesota. Amy has a B.S. in civil engineering from Marquette University. As a certification engineer, Aaron ensures stewardship of industrial electrical products by managing compliance to safety, functional, and environmental standards. Her career goal is to increase energy efficiency in industrial settings through developing and employing electrical products capable of energy management. 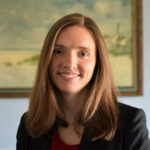 While at the University of Michigan, her interdisciplinary master’s project was entitled “Transmission Policies for Offshore Wind in the Great Lakes.” Aaron is passionate about community service and participates in Science, Technology, Engineering, and Mathematics (STEM) Education Coalition outreach programs for historically underrepresented groups. 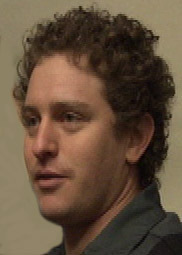 Prior to studying at the University of Michigan, Aaron received a B.S. in Mechanical Engineering and a B.A. in Spanish at University of Dayton in Dayton, Ohio. She is a USGBC LEED Green Associate. David’s career goals pertain to the development of biofuels and renewable energy as a mechanism for supplying alternative fuels to the energy market. His prior work includes employment at Sapphire Energy, a major algal biotechnology company, and research under Professor Mayfield at UCSD in metabolic engineering of algae for targeted protein production with commercial and pharmaceutical implications. David continues his research in the Department of Chemical Engineering at the University of Michigan – Ann Abor under Professor Nina Lin, exploring the impacts of biodiversity on algal growth using a microfluidic platform. He graduated in 2014 from the University of California, San Diego with a B.S. in Chemical Engineering and, in his free time, David enjoys cycling, soccer, and long walks on the beach. Matt served as a Peace Corp Volunteer in the Dominican Republic to design, repair, install and improve rural water systems. Matt received his B.S. in Mechanical Engineering from University of Washington 2007. He worked as a manufacturing engineer to design manufacturing tools to improve assembly of new and legacy products. Lu is interested in developing methodology and strategy for water resource management, including Life Cycle Assessment of shale gas and coal, hydroponic systems for green infrastructure, hydraulics and hydrology modeling, and flood insurance study. Lu received her bachelor’s degree in Environmental Engineering from Tongji University, Shanghai in 2013. As an undergraduate, she spent a lot of time in wastewater treatment research and published two journal papers about nano particles high treatment efficiency. 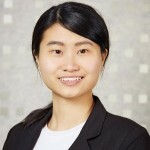 After she did her first internship at AECOM Shanghai Office, she realized that technology cannot solve the water pollution without thinking about the energy consumption, biodiversity, stakeholder engagement and political support. Then, she decided to pursue a dual degree in Sustainable Water System at University of Michigan. She did her second internship at AECOM Atlanta Office for flood insurance study. She enjoys drawing, traveling and cooking. Amy is fascinated by renewable energy, in particular wind turbines, and wants to develop clean power generation systems to displace humanity’s appetite for fossil fuels. After undergraduate, she worked first at an internship automating the control of a large office building’s energy usage in order to reduce during peak energy demands on the electricity grid and to promote building energy efficiency. Then she worked full-time for SolarCity designing residential solar panel systems all over northern California. 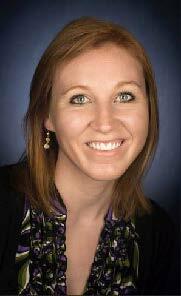 Amy received her bachelors in Environmental Engineering from University of California, San Diego in 2012. She will most likely be found playing ultimate frisbee, exploring the outdoors on some hiking/camping/backpacking adventure, or simply reading a book. Tzu-Hsin is passionate about establishing integrated water resource management systems that capture all segments in the water usage cycle. 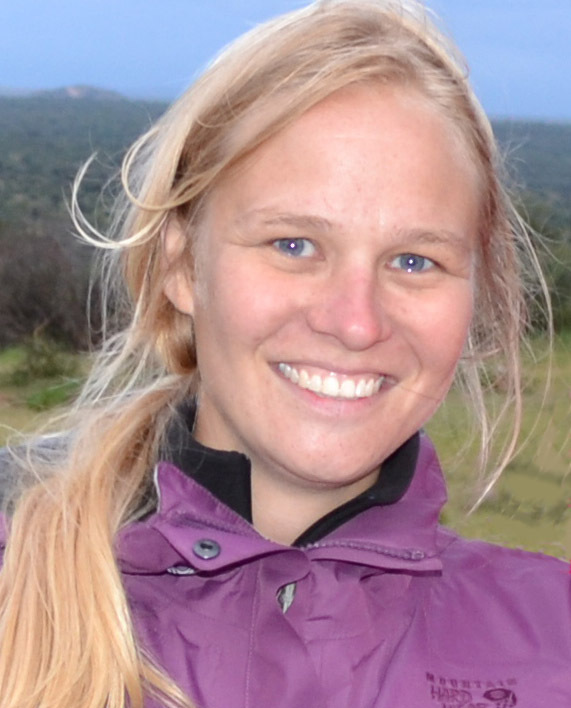 Prior to coming to UM, She has spent time in Tanzania and Australia studying human impact on local aquatic ecosystems. Currently, her research focuses on biological drinking water treatment technologies that would enable multiple contaminants removal at lower cost and energy intensity. She is interested in pursuing a career in water quality and resource engineering. 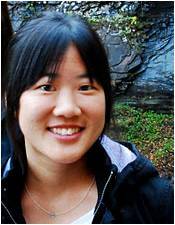 Tzu-Hsin earned her bachelor’s degree in biology from Carleton College and was awarded the Rackham Merit Fellowship in 2009. When she’s not in the lab, Tzu-Hsin enjoys all kinds of outdoor activities, especially snowboarding, soccer, biking and hiking. 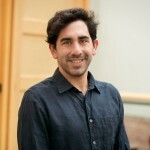 Andres Clarens is an assistant professor of civil and environmental engineering at the University of Virginia and the Director of the Virginia Environmentally Sustainable Technologies Laboratory. His research focuses of pollution prevention and green engineering with an emphasis on reducing greenhouse gas emissions from manufacturing, power and transportation systems. He has more than eight years of experience applying his formal training in surface chemistry to problems in metalworking, coal-fired power production and carbon sequestration. At present he is engaged in several projects looking at carbon cycling on a variety of scales from the micrometer scale where is exploring the geophysics of deep underground storage of carbon dioxide to the kilometer scale where he is studying systems level sequestration of carbon dioxide in engineered algae facilities. He has also served in the United States Peace Corps developing water drinking systems for rural villages on the Dominican/Haitian border. In addition to his PhD, Andres holds a M.S.E. in environmental engineering from the University of Michigan, as well as a B.S.E. in Chemical Engineering from the University of Virginia. Joseph conducts technical analyses, develops test procedures, and assesses product efficiency performance for a broad range of equipment, appliances, and consumer electronics on behalf of clients including utilities, advocacy groups, and governmental organizations. His current responsibilities include project management, energy modeling, policy assessment, and presentation and report development. As a graduate student, Joseph conducted research on the impacts of material sourcing, material production electricity allocation, vehicle light-weighting, and vehicle charge location on the life cycle environmental performance and energy use of plug-in hybrid electric vehicles as part of the U.S.-China Clean Energy Center – Clean Vehicle Consortium. Joseph holds a B.S. in mechanical engineering from Oregon State University. Daniel is serving as an ORISE Fellow in the EPA’s Office of Transportation and Air Quality. 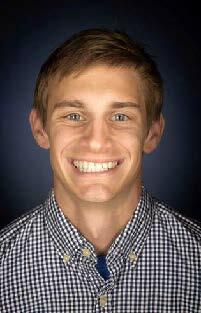 He is a recent ESS graduate with an academic emphasis on energy and transportation systems. He completed a master’s thesis through Mechanical Engineering studying oil film thicknesses and sustainable aviation. Daniel received his B.S. in Mechanical Engineering from the University of Michigan in 2011. Robb conducts life cycle assessments (LCA) and environmental sustainability research projects in the System Analytics & Environmental Science Department at Ford. Prior to his work at Ford, Robb served as research specialist with the Center for Sustainable Systems conducting research and managing educational and outreach activities. Before enrolling in the ESS program, Robb worked as a manufacturing engineer and worked with troubled teens and at-risk-youth in different roles. He holds a B.S.E. from Calvin College in Mechanical Engineering and a B.S. in Behavioral Science from Grand Valley State University. Jarett is director of the Green Brewery Project, a sustainability consulting venture that offers energy and water systems analysis to help craft breweries enhance their sustainability and their bottom line. This organization grew out of Jarett’s SEAS master’s project which outlined improvements in the sustainability of a local brewery leading to a half million dollar investment in sustainable technology. While in the ESS program, Jarett also participated in student-led integrated assessment for campus sustainability. He holds a B.S. in Bioengineering from U.C. Berkeley. 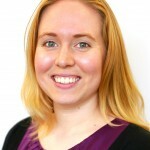 Anne is a mechanical engineer and a graduate of the Sustainable Systems program at University of Michigan with a focus on design and manufacturing. Her two master’s degrees, bachelor’s degree, and five years of experience in automotive interiors at Ford Motor Company inform the work she does today to create the best customer experience possible. She is skilled in engineering creative solutions within constraints from other stakeholders; enjoys understanding what the trade-offs are between various options and working with diverse groups. She is passionate about working with sustainable systems and finding creative ways to improve environmental footprint within the company and for our customers. Justin is interested in helping organizations take advantage of opportunities related to resource use reduction through innovation and efficiency. He has done engineering internships with several companies in the shipbuilding and chemicals/plastics industries. 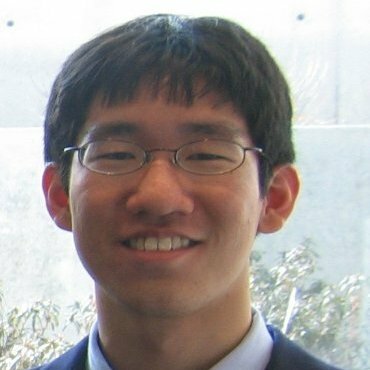 His PhD research employs complex networks to better understand preliminary naval ship designs in order to make more informed design decisions. Justin received a B.S.E. and M.S. in Naval Architecture and Marine Engineering from the University of Michigan and is a National Defense Science and Engineering Graduate fellow. He is a Michigan native and enjoys most any outdoor activity, including running, biking, and boating. Erica is a contracted Habitat Restoration Engineer with the NOAA Office of Habitat Conservation’s Restoration Center. She provides technical and project management support for aquatic habitat restoration project planning and implementation in the Great Lakes region. Her background includes experience in hydraulic and hydrologic numerical modeling of coastal and riverine environments for flood control and restoration projects, field monitoring of lakes and streams,and research in turbulent mixing. 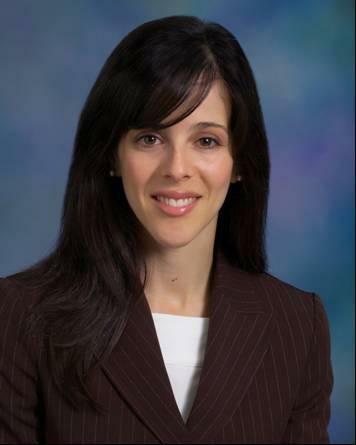 Erica holds a bachelor’s degree from the University of Michigan in Civil and Environmental Engineering. As a Sustainability Specialist with the engineering firm Sebesta Blomberg, Andrew provides consulting services to clients pursuing various sustainability initiatives. He works with corporate and public clients across the country, especially those pursuing LEED and Energy Star building certifications. While enrolled as an ESS student, Andrew conducted research on improving life cycle assessment (LCA) methodology for emergent energy systems. His capstone projects were focused on renewable energy generation and stakeholder engagement. 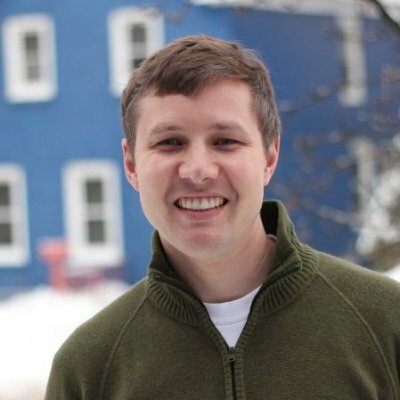 Andrew enjoys building on the education he pursued at the University of Michigan and hopes to continue supporting the implementation of new sustainable business practices across sectors. He also earned a Bachelor of Science degree from the University of Minnesota in Chemistry. Krutarth is passionate about applying concepts of engineering to tackle current environmental issues, with a focus on the increasing energy and water challenges. His research focused on modeling and evaluating the life cycle performance of advanced lightweight technologies for automotive and aerospace applications. In the engineering department, he worked on the synthesis and characterization of photocatalytic nanoparticles. He aspires to leverage his knowledge in engineering and sustainability to develop and implement policies and technologies for a low-carbon future. Hailing from India, Krutarth aims to work on critical issues in developing countries. He completed his B.E. (Hons) in Chemical Engineering from the Birla Institute of Technology and Science, Pilani. For his undergraduate thesis, he spent six months at the Solar Energy Research Institute of Singapore (SERIS) investigating Light Induced Degradation in Multicrystalline Silicon Solar Cells. In his free time, Krutarth enjoys reading, listening to and playing music, traveling, and playing soccer and tennis. 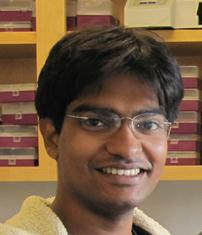 Siddharth John is interested in energy and material recovery from waste. His master’s project examined the potential of biofuels using micro-algae as feedstock. Siddharth also served as a team leader for a student project to develop a new prototype biodigester for the developing world. He holds an undergraduate degree in mechanical engineering from the National Institute of Technology, Trichy, India. His hobbies include hiking, photography, watching movies and documentaries. Brieland Jones is interested in off grid renewable energy applications, particularly in the developing world; environmental impacts resulting from current modes of energy use; and promoting the development of environmentally sound renewable energy infrastructure. Before coming to SEAS, he interned with the Resource Management Department at Yellowstone National Park. Subsequently, Brieland worked in both Sydney and Perth Australia in contracting and hospitality, during which time he highlighted the need for proper waste management practices, piloted a glass recycling program, and provided management with a concept note of the feasibility of solar PV in two restaurant locations. While at UM, Brieland became involved in Sustainability without Borders, contributing to design and implementation of renewable energy and sustainability projects in Liberia and Detroit, and currently serves in a leadership role. He also facilitated a USAID-funded STEM education program in Liberia in 2012 and was promoted to direct the program in 2013. He also presented his master thesis results on the Environmental and Social Impacts of Charcoal production in Liberia at the 2013 ISIE Conference in South Korea. Brieland holds a B.S. in Biology from Denison University. 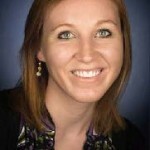 Alissa Kendall is an Assistant Professor in Civil and Environmental Engineering at the University of California, Davis. Before joining UC Davis in 2007, she earned a multi-disciplinary Ph.D. in the School of Natural Resources and Environment, and Civil and Environmental Engineering. Her research uses life cycle assessment, along with other industrial ecology tools, to assess the sustainability of transportation systems, energy systems and the built environment. In parallel, she also works to develop improved methods for life cycle assessment practice, focusing particularly on the treatment of long-lived systems and climate forcing emissions. In addition to her Ph.D., Alissa received an M.S. from the School of Natural Resources and Environment, and holds a B.S.E. in Environmental Engineering from Duke University. Andrew is interested in how humans impact freshwater systems both physically and ecologically, and conversely how we are impacted by the water systems around us. Before starting his graduate studies, Andrew performed environmental site assessments while working for a small environmental consulting firm in Lansing, MI. Additionally, he spent three months on the island of Trinidad as an intern for an NSF funded research project exploring guppies in the mountain streams to try to understand feedback between evolution and ecosystem processes in a natural setting. As part of his graduate thesis, Andrew spent four weeks on a 13 foot Boston Whaler mapping Higgins Lake with a variety of sonar types. 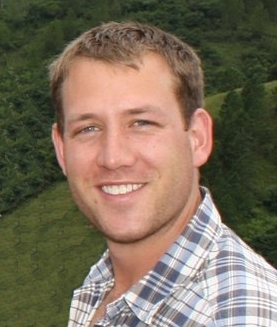 Andrew holds a bachelors degree in Ecology and Evolutionary Biology from the University of Michigan. He was also a member of the Michigan ice carving team. 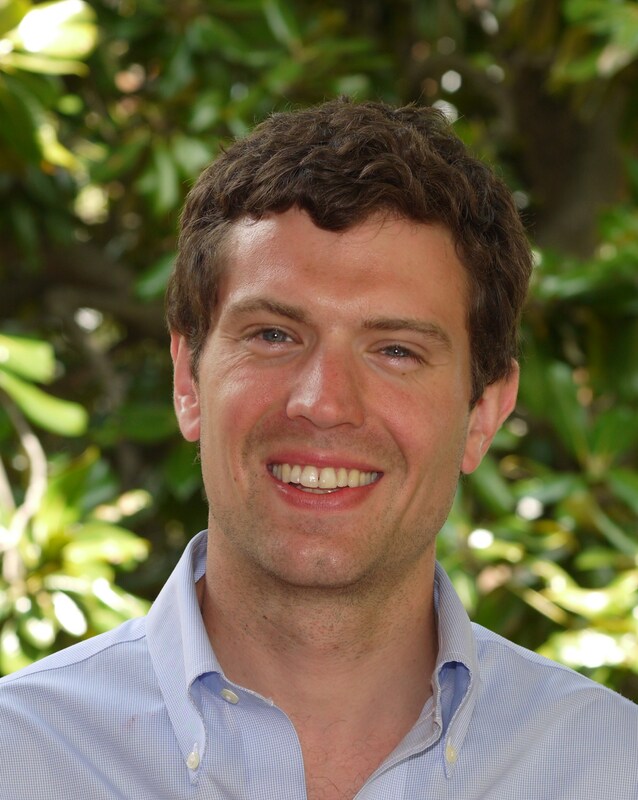 As Assistant Professor of Civil and Environmental Engineering at Stanford, Michael’s research focuses on the integration of sustainability indicators into engineering design, ranging from materials design, structural design, system design, to operations management. Recently, he has focused on the design of sustainable high performance fiber-reinforced cementitious composites (HPFRCCs) and fiber-reinforced polymers (FRPs), the impacts of sustainable materials on building and infrastructure design and operation, and the development of new life cycle assessment (LCA) applications for building systems, transportation systems, water systems, consumer products. Along with this, he is studying the effects that slowly diffusing sustainable civil engineering innovations, and the social networks they diffuse through, can have on achieving long term sustainability goals. Previously, he served as a research fellow at the Center for Sustainable Systems at the School of Natural Resources and Environment. In addition to his PhD, Michael also received his MSE in Structural Engineering from the Department of Civil and Environmental Engineering at the University of Michigan as well as an MBA in Strategy from the Stephen M. Ross School of Business at the University of Michigan. Anne Marie is interested in ways to reduce energy use and emissions in the transportation sector; she believes that evaluating systems of clean vehicle technologies is the best way to accomplish this. 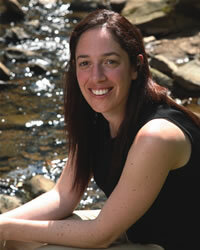 Prior to Anne Marie’s work in the Center for Sustainable Systems (CSS), she completed her M.S.E. in experimental research in the UM Walter E. Lay Automotive Lab. Her work spanned from researching effectiveness of after treatment systems for diesel engines to alternative fuels combustion analysis. During this time, Anne Marie also had an internship in Washington D.C. at the Alliance of Automobile Manufacturers where she learned more about the relationship between science and policy and the role of mediation when defining new CAFE standards. 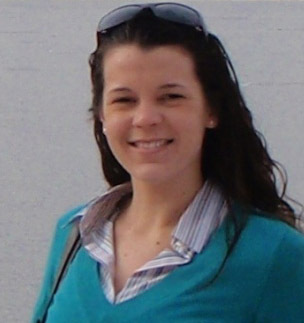 Anne Marie currently works on life cycle modeling of clean vehicle technologies as part of the U.S.-China Clean Energy Research Center for Clean Vehicles. By demonstrating which combination of technologies lead to the most lifecycle emissions reduction with minimum cost, she hopes to contribute to the existing knowledge of vehicle design in both academia and industry. In her spare time, Anne Marie is the founder and president of Michigan Energy Club, an interdisciplinary energy club at the University of Michigan that aims to provide a forum for learning about energy from a variety of topics. Anne Marie received her B.S. in Mechanical Engineering from Carnegie Mellon University. Patty is an analyst with Black & Vetach focused on evaluating solar power plant projects and demand response programs for utilities. While in the ESS program, Patty completed an SEAS Master’s project with three other SEAS students, in which they developed a sustainable development plan for a non-profit and local village in Madagascar. During 2010-2011, Patty also worked on the Campus Sustainability Integrated Assessment as an Renewable Energy Analyst, helping to evaluate and design the recommendations which informed the University’s sustainability goals. Patty split her 2011 summer between two internships, as a program analyst at the US Energy Information Administration and as a consultant intern with Black & Veatch. Patty received her B.A. from Williams College with a double major in Physics and Asian Studies. 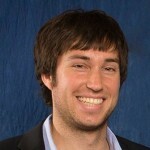 As a scientific engineering associate in Lawrence Berkeley National Laboratory’s Demand Response Research Center, Jason analyzes market and policy barriers for demand response participation in Ancillary Services markets and develops pilots demonstrating automated demand response and electric vehicles’ capability to provide these services to the electric grid. Prior to joining ESS, Jason worked for General Motors as an application engineer for the Chevy Volt’s transmission. Before that, he worked in photovoltaics, as a system design engineer for a PV installation company, and in R&D for a company developing solar concentrator technology. As a part of ESS, Jason conducted research on the intersection between plug-in vehicles and the electric grid. Jason holds an undergraduate degree in Mechanical Engineering from the University of California, Los Angeles. Nathan works at GM with vehicle technology engineers and with compliance teams to see how advanced technology can be used to meet fuel economy and CO2 targets for each model and in each region where GM sells vehicles. While in the ESS program, Nathan published his research work focused on labeling efforts for electrified vehicles from a total vehicle life cycle perspective. The work is part of the U.S. – China Clean Energy Research Center for Clean Vehicles. Nathan received his B.S. in Mechanical Engineering (Minor in Fuel Cells & Hybrid Technology) from Kettering University in Flint, MI. 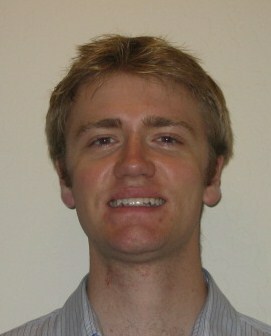 Trevor works in PA’s Energy Capital Markets group. 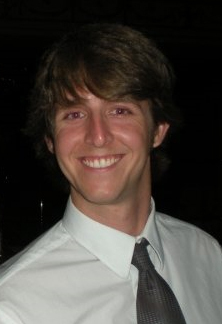 Trevor’s work focuses on capacity markets around the U.S. as well as stochastic power plant dispatch modeling. Prior to PA, Trevor worked for the environmental research consultancy AltaTerra Research Network, the CST startup Hyperlight Energy, and the racking system manufacturer Patriot Solar Group. Trevor holds a BA in Chemistry with a minor in Earth Sciences from Boston University. Rob is passionate about applying his talents and education to lead within the growing fields of green infrastructure and sustainable system design. Prior to attending the University of Michigan he served in the U.S. Army as an engineer diving officer for eight years. During this time he gained experience leading teams around the world conducting underwater surveys, salvage operations, and construction projects. After arriving at the University of Michigan he volunteered to serve as a team leader on the Living Building Challenge, tasked with designing a net-zero water usage system for a home in Ann Arbor. He also joined Sustainability Without Borders with aims to design and install solar water pumps for communities in Madagascar suffering from water scarcity issues. Finally, as a research contributor for the Center for Sustainable Systems, he is analyzing the environmental and health impacts of certain diets in an effort to understand the life cycle implications of food choices. Rob earned his undergraduate degree in mechanical engineering from the United States Military Academy in 2007 and also earned a master’s degree in engineering management from the Missouri University of Science and Technology in 2012. He spends his available free time with his wife and one year old daughter, home brewing delicious spirits, and cooking plant-based meals for his family. Meredith is interested in using integrated water resource management strategies to close the loop around water supply, wastewater, stormwater, and natural water systems. Prior to starting her graduate studies, she worked in environmental consulting where she focused primarily on groundwater remediation. She is currently working on her master’s project as part of a multi-disciplinary team working for a social entrepreneurial company that provides drinking water to remote communities in rural India. The project team is developing creative and sustainable management strategies and opportunities for reuse of their brine wastewater stream for over 120 locations. Meredith earned her bachelor’s degree in civil and environmental engineering from the University of Michigan. She enjoys spending time outdoors whenever she has a chance, including biking, hiking, and taking long walks in the woods. 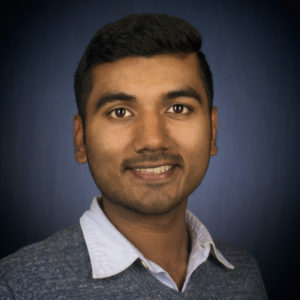 Bhuvan is passionate about environmental sustainability and is interested in applied research of advanced technologies to reduce emissions from buildings and power grid system. He obtained bachelors in Mechanical Engineering from IIT Roorkee in 2012. After graduating he worked with Arup and Burohappold Engineering as a consultant designing HVAC and low carbon energy systems for green buildings and district infrastructure. During this period he gained extensive experience in energy modeling, renewable resource assessment, project coordination, and client management. 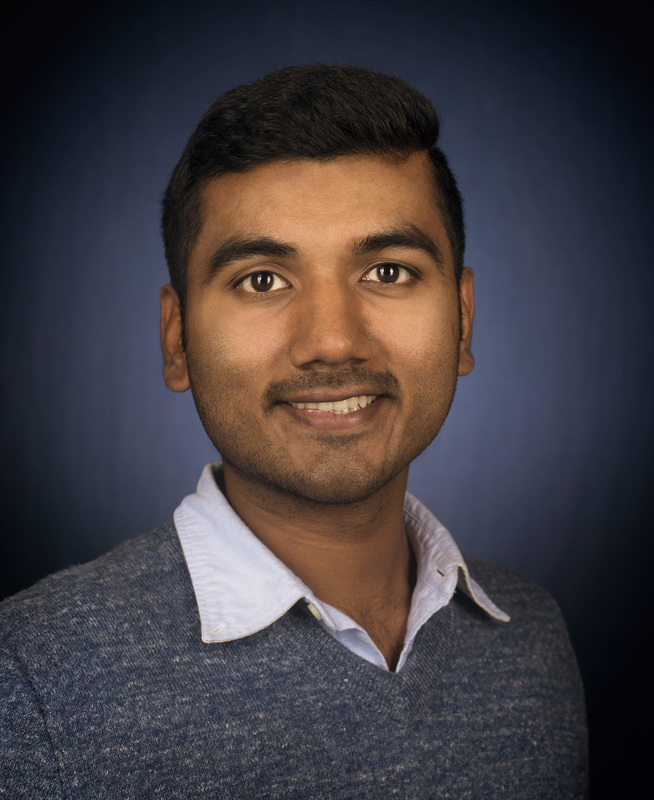 His current research thesis couples engineering and economics methods to investigate carbon mitigation potential of grid scale energy storage systems from power grid applications. His research intents to offer new insights into environmental applications for energy storage, potentially providing new motivation for increased deployment of these emerging technologies in future electricity grid. Nathan is interested in life cycle design within the transportation sector. Nathan was named a NDSEG Fellow in 2008 after completing his undergraduate degree in Naval Architecture & Marine Engineering at UofM. His research uses decision theory to evaluate the early stage design of systems and systems-of-systems subject to physical, technological, market, and political disturbances. Nathan uses knowledge from past internships with the U.S. Navy and a forensic investigation consulting firm to better understand the design and operational challenges associated with marine vessels of various shapes and sizes. He has served in a leadership role with the non-defunct Emerging Green Builders—Detroit chapter, an arm of the USGBC dedicated to young professionals. He also remains active on campus and in the community, coaching a local girls’ soccer team, playing soccer and volleyball, and serving as Resident Scholar for a campus fraternity. Josh joined the Strategic Energy Analysis Center within the National Renewable Energy Lab in 2015. At NREL he conducts research on the integration of wind and solar into the electricity grid in the United States. While at Michigan, Josh worked with Prof. Jeremiah Johnson on similar research. 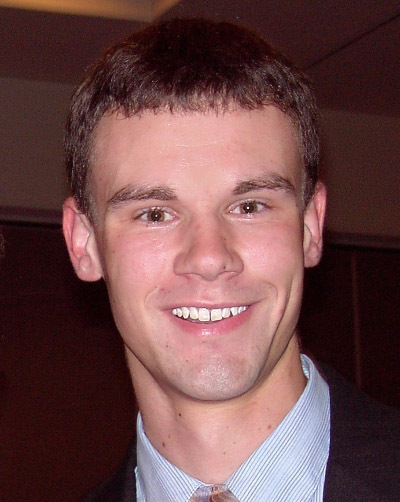 Prior to starting graduate school at the University of Michigan, Josh worked as a Research Analyst at the Center for Energy and Environment in Minneapolis, MN. Josh completed an undergraduate degree in Applied Physics at St. John’s University in Minnesota. Nolan is a lecturer at the University of Michigan where he developed and teaches the course “Advanced LCA methods and software tools”. His research focuses on product design and the role that life cycle modeling can play in the creation of products that serve rather than deplete the planet. His background in both entrepreneurship and academic research position him to understand not only the complex interaction between goods and the natural world, but also the design constraints required for commercialization. Nolan also cofounded and serves as Engineering Manager for Aquaro Biosystems where he designs innovative cancer research technologies. Prior to enrolling at Michigan, he founded the software company Clear Estimates and obtained a B.S. in Mechanical Engineering from the University of Notre Dame. Binoy is interested in the convergence of sustainability, engineering and business as tools to solve problems related to energy and poverty. Binoy has been involved with the BLUElab, a student organization that works to create sustainable solutions to development problems. 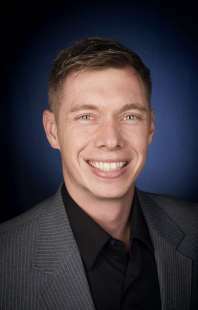 Previously, he has worked in the field of Information technology as a staff member of the University of Michigan. 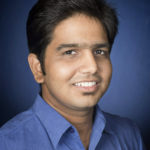 Binoy holds a Masters in Aerospace Engineering from the University of Michigan and a Bachelors in Mechanical Engineering from Bangalore University, India. 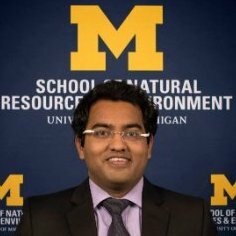 Prior to joining the University of Michigan, he worked on projects at the Indian Institute of Science performing research on rocket engine design optimization. In his free time, he is busy with his family, chasing behind his 2 year old daughter. 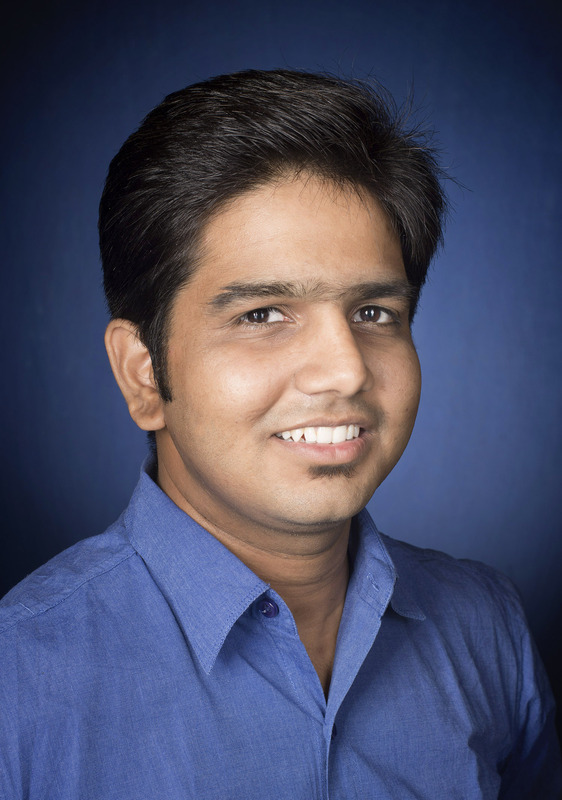 Sundeep is an environmental health & safety and sustainability specialist with Dow Chemical. Prior to joining ESS at Michigan, he was a summer research assistant at the University of Texas at Austin working on an emission sensor that helps reduce particulate matter from diesel engines. Sundeep has also published papers modeling internal combustion engines on alternate fuels. 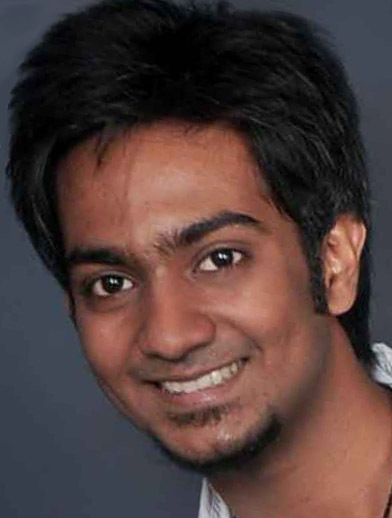 He graduated with honors in 2010 from BITS, Pilani – Dubai Campus, with two engineering degrees in Mechanical Engineering and Computer Science. Sundeep loves talking and spending time with people, learning about different traditions and cultures. Chelsea is pursuing a career in energy sustainability with an emphasis on the water-energy-waste nexus in developing countries. She worked as an intern at the Rocky Mountain Institute in Colorado researching energy efficiency and renewable energy strategies for the Northeastern US. For her master’s project, she provided the Mpala Research Center and Wildlife Foundation in Kenya with a sustainable water management plan. She spent the summer of 2011 as a William Davidson Institute’s Global Impact Internship Fellow in Uganda working for a local clean tech startup called Technology for Tomorrow. There, as part of a multi-disciplinary team, she developed a bicycle generator prototype and built an AC motor for a merry-go-round generator designed for use in rural Ugandan villages. Prior to joining ESS at Michigan, she worked as an environmental consultant focused on hazardous waste management in San Francisco, and volunteered with the Peace Corps in a small, rural community in Mali, West Africa, as a sanitation engineer. She received her B.S. in Civil and Environmental Engineering from University of Vermont with a minor in Community and International Development. Michael’s research interests span from sustainable food production to equitable energy transitions. Michael graduated from Northwestern University in 2013 with a degree in Environmental Engineering. Prior to his enrollment at U of M, Michael served as a Peace Corps volunteer in rural Paraguay, working on sustainable agriculture and environmental conservation strategies with his local community. Within CSS, Michael was a part of Dr. Tony Reames’ Urban Energy Justice Lab researching spatial disparities in access and cost to energy-efficient technologies. Additionally, his thesis with professors Jose Alfaro and Tony Reames explored how energy-related information and technology are propagated through a city, applying agent-based modeling and network analysis. Outside of academics, Michael likes to spend his time creating a mess in his kitchen, hiking, biking, and making funny jokes. Jefferson is passionate about working to improve the future of renewable energy sources, with a particular focus on biofuels. Prior to coming to Michigan Jefferson, spent his summer working at DuPont on their cellulosic ethanol project and before that, spent a year working at Asahi Kasei, a Japanese company, on algal biofuels. He received his B.S. in Chemical-Biological Engineering, B.S. in Biology, and minor in Japanese from the Massachusetts Institute of Technology. As an undergraduate he spent a significant amount of time working in the biotech space doing research at MIT, Harvard, and start-up companies in the Boston area while spending his summers interning at Osaka University and Sumitomo Chemical. Jefferson is originally from Managua, Nicaragua and has a passion for raising STEM awareness in underprivileged communities. Outside of the classroom he enjoys spending his time outdoors and being active. If he isn’t studying you’ll find him biking, climbing, or running with some of his fellow SNREds. 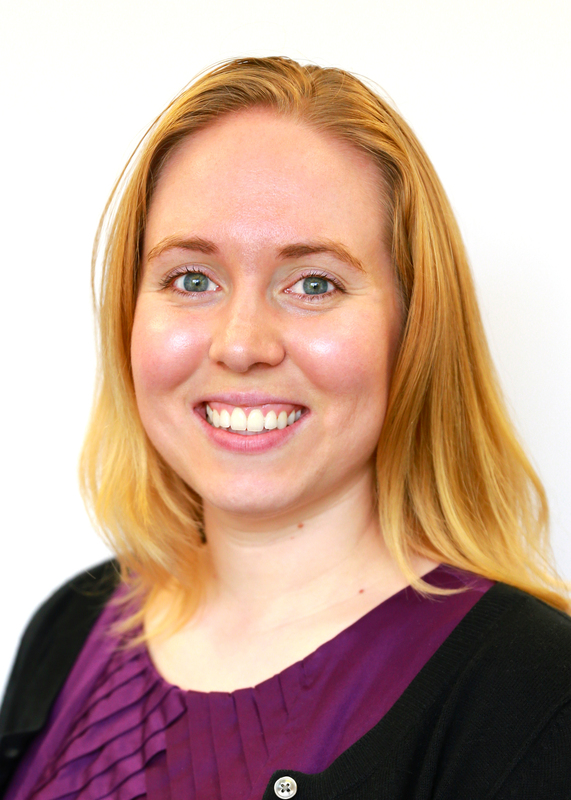 Astrid is passionate about creating a more sustainable built environment through infrastructure, planning, and policy. Astrid has held multiple exciting internships within the energy sector as a consultant, but hopes to redirect her career path to focus more on the building and waste management sectors. During her undergraduate time at Michigan she worked on a life cycle analysis of a carbon capture material. As a masters student, her master project studied the sustainable development and conservation implicatiosn of silvopasture agroforestry systems in Nicaragua. She graduated from the ESS program with a masters in Sustainable Design and Manufacturing in 2017. She also received a bachelors in Civil Engineering and completed the Program in Sustianable Engineering from the University of Michigan in 2014. Allie is a mechanical engineer for Novellis, a major producer of aluminum can stock and industrial sheet. During her graduate studies, she conducted research on the impact of plug-in hybrid electric vehicle on the state of Michigan electrical grid. She holds an undergraduate degree in Mechanical Engineering from Central Michigan University. Samhita is passionate about evaluation of effective yet socially inclusive models of green economy. She would like to work on life cycle assessment of industries, urban and industrial waste management systems and designing of energy efficient equipments in order to draw parallels between the efficient innovations and lowered environmental risks for operations of industrial plants. 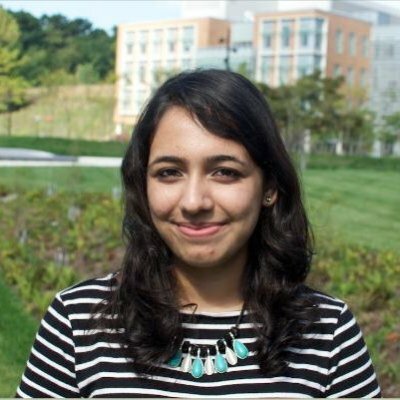 Samhita is originally from India and aims to work on problems related to developing countries for sustainable development. She received her B.Tech in Chemical Engineering from Visvesaraya National Institute of Technology, Nagpur. As an undergraduate, she spent substantial time working on potential water purification methods using mango leaves and various nano materials. After completing under-graduation, she worked with Pidilite Industries, India in manufacturing operations department where she handled 23 adhesive and paints manufacturing plants nationwide. In her free time, she enjoys making music and roaming around to explore various places. Ryan Smith works for Clean Tech, Inc., a large plastics recycling center that converts HDPE (#1) and PET (#2) plastic containers back into small pellets for reuse by major plastic-container companies. He works to implement projects to reduce water consumption associated with plastic recycling. 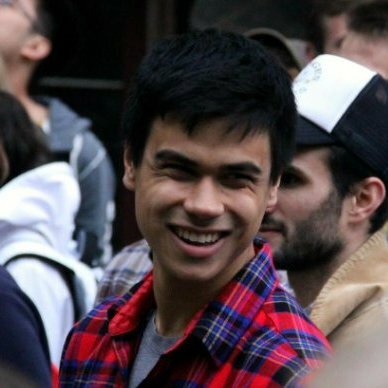 During his time at U-M, Ryan was involved in the campus-wide Integrated Assessment project and served as executive board member of the Student Sustainability Initiative. After graduating, Ryan traveled to Liberia where he worked to develop math, science, and English curriculm for universities. 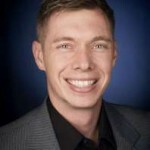 Ryan holds a Bachelor of Science in Mechanical Engineering from graduated in 2007 from Lawrence Technological University with a concentration in alternative energy. 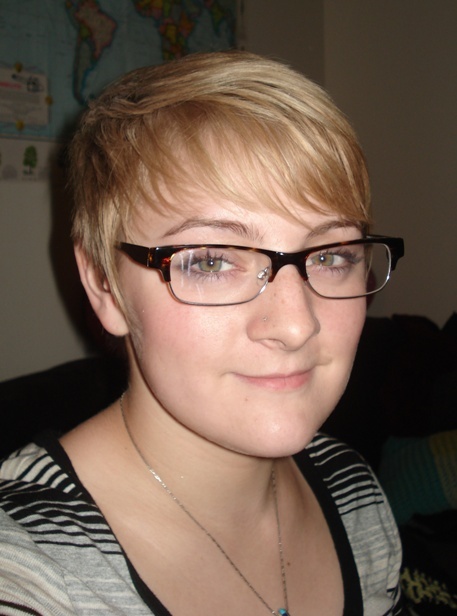 Rebecca is interested in sustainable development in third world countries. 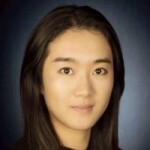 Her thesis is focused on creating a framework for sustainable development projects. She is also a reDirect Fellow and is working on applying the Reasonable Person Model to different organizations. Rebecca is co-officer of Sustainability without Border’s Peru project. 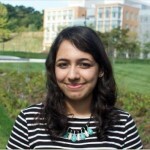 She holds a Bachelor’s from Johns Hopkins University in Environmental Engineering. Brittany is interested in sustainable energy systems in the built environment, particularly for local, struggling school districts. Prior to attending SEAS, she was an English & science teacher for three years in Louisiana and spent a year working in development for an education non-profit in Detroit. Brittany also spearheaded the robotics/coding program at Sylvan Learning Center in Ann Arbor. For her Master’s Project, Brittany and five other team members worked with their client, Johnson Controls Inc., to identify possible opportunities for increasing energy efficiency on Michigan’s campus. 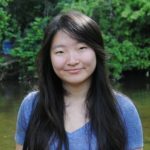 She was the Factsheet intern at the Center of Sustainable Systems (CSS) in summer of 2015 and was named the 2015 Bosch Sustainability Fellow and is a Michigan College of Engineering Master’s Fellow. Additionally, Brittany also work on a social enterprise start-up focused on waste management and GHG emissions diversion. She earned a BA in English from Cornell College in 2009 and a BA in Chemistry from Wayne State University in 2015. In Brittany’s spare time, she enjoys traveling, painting, running, reading and socializing with friends and family. 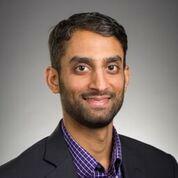 Tejas currently works for Black & Veatch’s Renewable Energy Group, focusing primarily on solar photovoltaic performance modeling and analysis. His work involves producing detailed estimates of solar power plant performance, modeling the performance impact of new solar pv tracking systems and building models to help developing countries deploy renewable energy projects. His master’s project at U-M involved investigating various renewable energy options to be implemented at Camp Michigania (for U-M alumni) in Boyne City, MI. Tejas graduated in 2011 with a Bachelor’s degree in Electrical and Electronics Engineering from Anna University, Chennai, India. Ajay is business analyst/consultant at Ford Motor Company. Prior to joining ESS, Ajay has interned in GE – Energy, Hindustan Aeronautics Limited and has presented a paper of LCA of biodiesel at the World Renewable Energy Congress held in Glasgow. His experience studying ESS landed him with internships at the International Council on Clean Transportation and the sustainability division at the Innovation Center for U.S. Dairy for the last two summers. He has also worked at CSS on analyzing the environmental impact of PHEVs in Michigan as well as the UM Campus Integrated Sustainability Assessment project. Ajay’s SEAS Master’s project was to perform an energy and water resource assessment at Mpala Research Center in Kenya and provide recommendations to develop those sustainably. He studied Mechanical Engineering from the National Institute of Technology – Trichy, India for his undergraduate studies. Eric is interested in promoting sustainable water resources. During the summer, he performed a life cycle assessment of building facade systems at the Center for Sustainable Systems. He analyzed the energy and greenhouse gas emissions associated with the facades systems during their lifetimes. Eric earned an undergraduate degree at The College of New Jersey in Civil Engineering. In his spare time, he enjoys tennis and ping pong, reading books, and hiking. He graduated from the program in May of 2015. 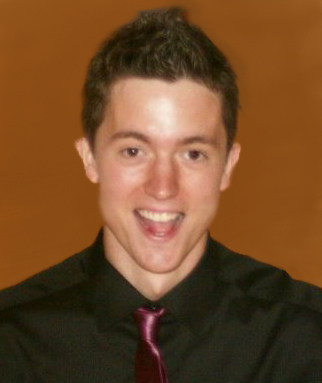 Kyle is a project engineer at Barton Malow in Chicago. He is currently working on a chilled water plant; a supporting facility for a new supercomputer at Argonne National Laboratory. Other work includes the design and construction of healthcare facilities and laboratory space. While pursuing a dual master’s degree through the ESS program, Kyle focused on energy and infrastructure systems. Additionally, he researched sustainable construction and the development of smarter building systems. He is currently an Engineer in Training, working toward becoming a licensed Professional Civil Engineer. 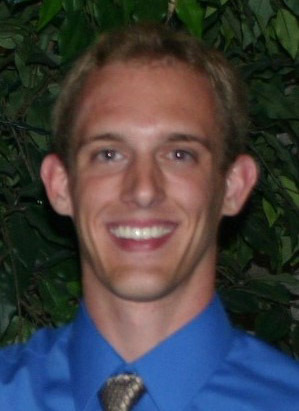 Kyle holds a BSE in Civil & Environmental Engineering from the University of Michigan. 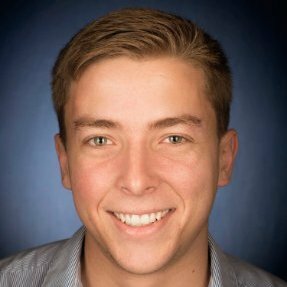 Dan works for Black & Veatch in Southern California, advising companies that are pursuing renewable energy projects and government agencies seeking to understand sustainable energy options. In his current position, he has studied grid interconnection options for solar PV developers, helped utilities streamline solar rebate programs for their customers, aided in developing high-level transmission expansion plans to reach renewable resources, produced detailed estimates of solar PV plant performance, and created a proprietary database of renewable energy technology cost information. While at UM, he was part of a Master’s project group that performed the first life cycle assessment of organic milk production in the U.S., including energy use, GHG emissions, water use, solid waste and nutrient use. He also worked on the Energy team of the campus Integrated Assessment project, analyzing the costs and benefits of a biomass combined heat and power plant for the University. He was born and raised in Alaska, loves biking and hiking and deep-sea halibut fishing, and holds a B.A. in Comparative Literature and Spanish from Washington University in St. Louis. Cory is interested leveraging technology to reduce fossil fuel dependency in utilizing energy resources. Before ESS he studied Physics at Ithaca College, performing research ranging from astronomical spectroscopy to thin-film growth using pulsed-laser deposition. His master’s thesis pertains to developing a transportation system sustainability assessment framework and using that framework to understand the sustainability implications of various autonomous vehicle deployment options. His hobbies include attending concerts, air-drumming, and playing volleyball, tennis, soccer (forza nerazzurri) or any other sport. Go Blue!!!!! 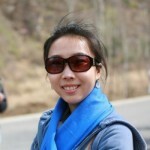 Cindy is currently pursuing a dual degree in Sustainable Systems and Environmental Engineering. 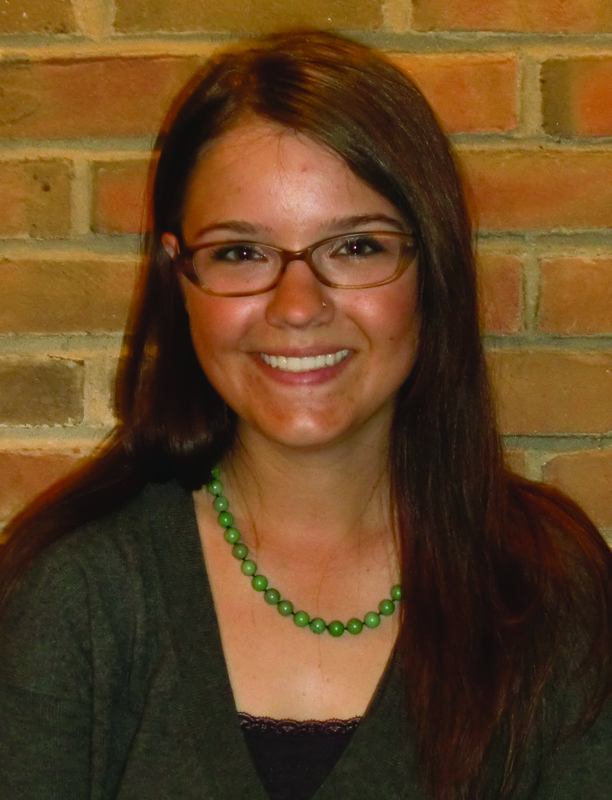 After graduating from Mount Holyoke College with an undergraduate degree in Chemistry, she was excited to pursue graduate education at a program with a focused and interdisciplinary approach to sustainability. During her ESS degree here at the University of Michigan, Cindy has explored many facets of sustainability in her coursework and research. Her master’s thesis on operating, assessing, and modeling an indoor recirculating aquaculture system for shrimp production has enabled her to explore one intersection at the food-energy-water nexus. 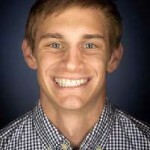 Cody is passionate about solving water resource and sustainability issues in the developing world. Prior to Michigan, he worked as an environmental affairs intern with an automobile trade association and also as a research assistant for appropriate technology development and environmental ethics with the Azusa Pacific Center for Research in Science. Cody is originally from Red Bluff, CA and received his B.S. in Physics from Azusa Pacific University in 2014. He spends much of his time biking, playing soccer and tennis, and reading, especially on the topic of environmental stewardship as it relates to the Christian faith. Since beginning the ESS program, he has also become very involved in local stream restoration within the Huron River watershed. At Bain & Company, Ye conducts primary research and performs analysis to uncover insights and recommendations for the companies clients. As a graduate student, he wrote his master’s thesis on a life cycle assessment (LCA) of Chinese High Speed Rails. He also worked for Alcatel-Lucent to develop methodology and assess eco-impact (e.g. greenhouse gas emissions), enabling effect and rebound effect of Alcatel-Lucent Intelligent Travel Time Systems (ITTS). Ye completed his undergraduate degree in Environmental Engineering at Zhejiang University. Julie is an Associate Professor of Green Engineering jointly appointed in the School of Engineering and Applied Science (Department of Chemical and Environmental Engineering) and the School of Forestry and Environment at Yale University. Dr. Zimmerman also serves as the Acting Director of the Center for Green Chemistry and Green Engineering at Yale. 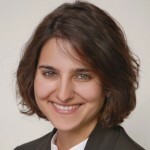 Her research interests include green chemistry and engineering, systems dynamics modeling of natural and engineered water systems, environmentally benign design and manufacturing, the fate and impacts of anthropogenic compounds in the environment as well as appropriate water treatment technologies for the developing world. She also conducts research on corporate environmental behavior and governance interventions to enhance the integration of sustainability in industry and academia. She previously served as an Engineer in the Office of Research and Development at the United States Environmental Protection Agency where she managed grants to academia and small businesses in the areas of pollution prevention and sustainability and launched EPA’s P3 (People, Prosperity, and the Planet) Award Program: A National Student Design Competition for Sustainability. In addition to her joint Ph.D., Julie received an M.S. in Environmental and Water Resources Engineering at the University of Michigan, and she holds a B.S. in Civil Engineering from the University of Virginia.